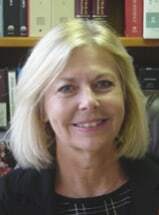 Joan Hall has represented Social Security Disability clients for over twenty years. She has had enviable success at all levels of all representation, including initial applications, Administrative Law Judge hearings, Appeals Council appeals and appeals to Federal District Court. She is a staunch advocate of the rights of disabled Social Security claimants and this is evidenced by the large percentage of cases that she has won at all levels. She has a keen understanding of the issues involved in the many different disability cases and is a tenacious litigator. While Ms. Hall has practiced in other areas of the law she finds Social Security Disability practice to be the most rewarding. It is her goal to represent all claimants in a compassionate, careful, and successful manner.